EDINBURG — During his first season as UTRGV men’s basketball coach last year, Lew Hill was intent on instilling his culture at any cost. Looking back, he admits he was stubborn with regard to in-game adjustments, unwilling to waver from his ideal formula. In Year 2, his approach is different. This year, Hill said “playing to win” is one of the team’s mottos. Though the goal may sound obvious, the mentality marks a departure from last season, when implementing a certain style of play mattered more than wins and losses. University of Texas Rio Grande Valley's Nick Dixon (4) attempts a basket against Hampton in a nonconference game at UTRGV Fieldhouse Saturday, Dec 30, 2017, in Edinburg. 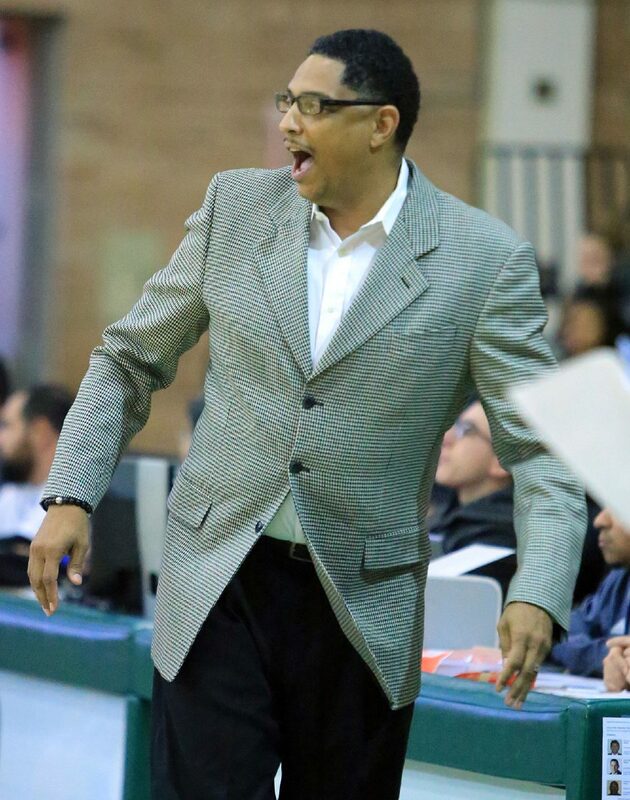 University of Texas Rio Grande Valley head men's basketball coach Lew Hill reacts to the action in a nonconference game against Our Lady of the Lake at the UTRGV field house Tuesday, Jan 2, 2018, in Edinburg. The new focus on the bottom line has produced results in 2017-18. UTRGV’s 15 wins is the most in a season since the 2012-13 team went 16-16, and the Vaqueros’ 6-8 conference record marks the highest win total out of the program’s five WAC campaigns. After finishing seventh in the conference standings last year, UTRGV is the No. 5 seed in the WAC Tournament entering a quarterfinal matchup against No. 4 seed Seattle at 10:30 tonight at the Orleans Arena in Las Vegas. 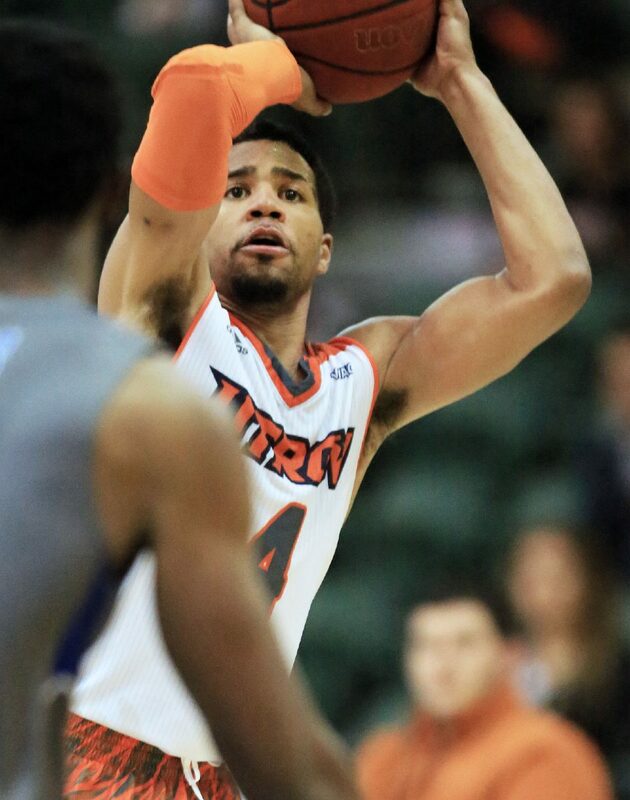 UTRGV rarely abandoned its man-to-man defense in 2016-17, while the 2017-18 group has played mostly zone for entire games if Hill thought the matchup made sense. Hill has also put players in positions to succeed rather than trying to mold them to his system. In January, Hill said he was allowing center Dan Kimasa to play more around the basket this season. Last year, Hill often tasked Kimasa with guarding and trapping on the perimeter. Sophomore Xavier McDaniel Jr. said he’s seen an increased intensity from Hill this season. McDaniel added that UTRGV’s defense has changed significantly from last year, with a greater focus on opposing personnel. As the win total has increased, confidence has also skyrocketed. McDaniel said UTRGV’s spread offense creates space for each player to play to his strengths. While last year’s team regularly spotted up from beyond the arc, the 2017-18 offense has been built around driving and getting to the free-throw line, mirroring the strengths of leading scorer Nick Dixon. On the year, UTRGV ranks first in the nation by scoring 25.2 percent of its points at the free-throw line, according to KenPom.com. Dixon averages 20.5 points per game and ranks third in Division I by drawing 8.5 fouls per 40 minutes. Dixon is in his final year with UTRGV, but he said the program will have a bright future after he departs. Hill said the improvement from 10-22 last year to 15-16 this season is an obvious step forward. He credited the change to bringing in better players while developing and becoming more familiar with the returners. McDaniel Jr. believes the positive trend should be expected to continue next year during his junior season.